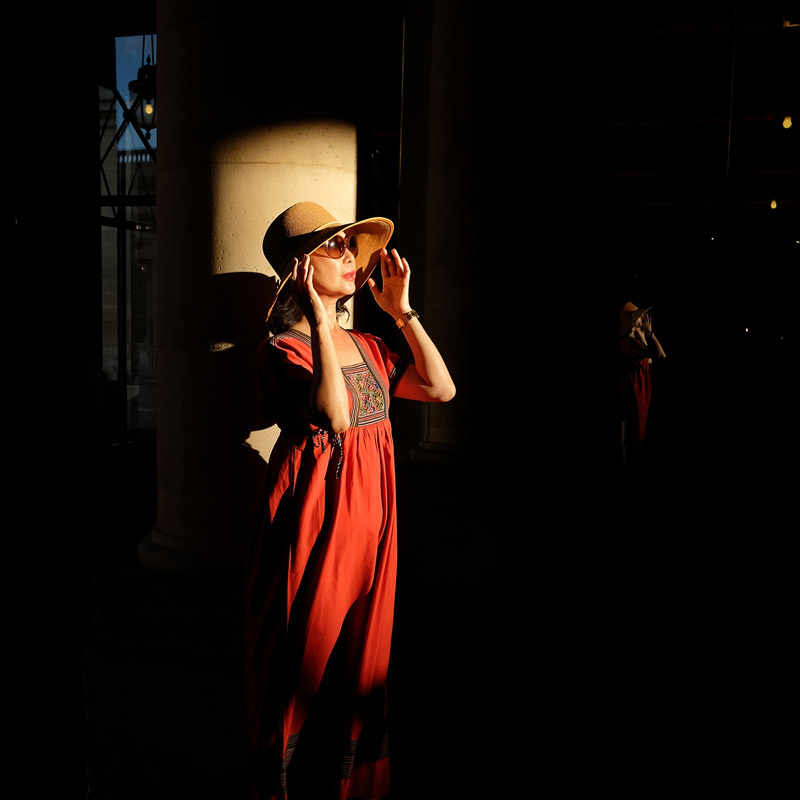 As good fortune would have it, on our second last day in Lyon, Kent spotted ‘a great location with amazing light’ and just one catch – it needed a red dress (will explain later). 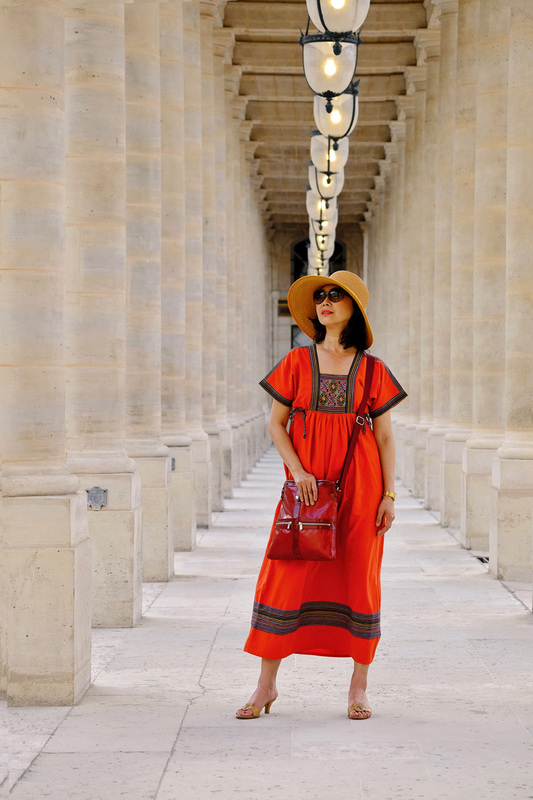 The problem was, the only red dress I brought with me had already been photographed several times in Bagnols early on… So it was that I was looking for a last-minute-dress to shoot a fashion story for White Caviar Life. The full story of this shoot will be revealed once we start our Lyon series. I was hopping in and out of clothing shops trying on various outfits, some of which Kent had checked out in the morning to help speed up the shopping process – he was determined to make that shoot happen. It was on our way to yet another shop Kent had scouted that morning that I laid my eyes on this European style boho dress, or ‘a charming Russian peasant dress’ as Kent called it. Well although this dress was not in his selection of choices, I knew there and then that I would not leave Lyon without it. So as soon as our epic Lyon shoot wrapped, I was in a hurry to return to the store so I could try that Russian peasant dress on; while at the same time, a protest march was coming up behind us getting louder and louder. What were they demonstrating against? We did not know, but we did know that their voices were full of drama, time to get to the shop. By the time my new not-so-peasant-in-price peasant dress was safely wrapped and in a carry bag, the protesters had arrived outside and were filling the entire street. ‘Oh~No~ We can’t be trapped in here!’ That’s right, anyone would understand just how ‘dangerous’ it could be to be trapped in a French fashion store!!! Plus we had a dinner reservation for that evening, we needed to return our hotel as soon as possible. We couldn’t wait around any longer, and decided to leave the store and walked side-by-side with the protesters, then through them to the Place Bellecour, our hotel was just on the other side. Well, picture an oriental tourist with shopping bags in both hands in the middle of angry French demonstrators. I was like someone who turned up the wrong party, or got the wrong memo! 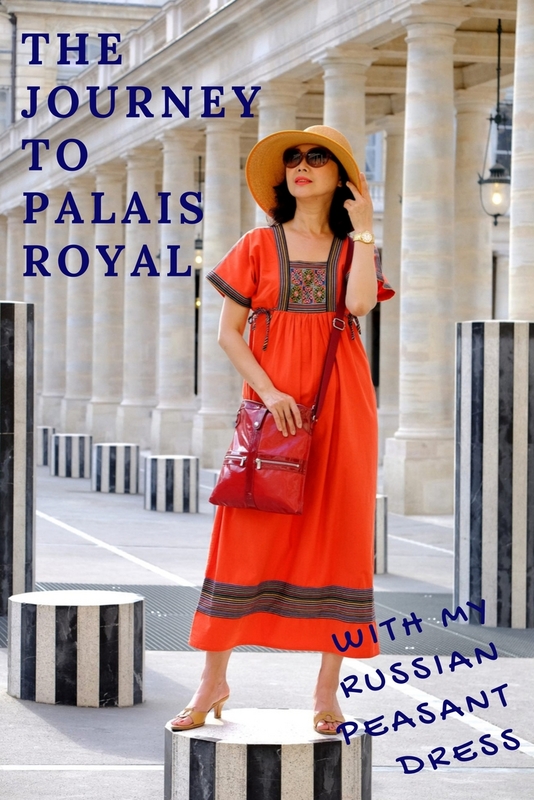 My peasant dress had finally returned to it’s Paris home with me; after all, it is a Parisian label. After unpacking I gave it a little bit of ironing then ‘voilà~’ we were ready for our first outing! It happened to be a glorious Sunday, we set off to Montmartre, but found it too crowded and too busy, so we hopped back on the metro and headed for the much quieter Palais Royal. 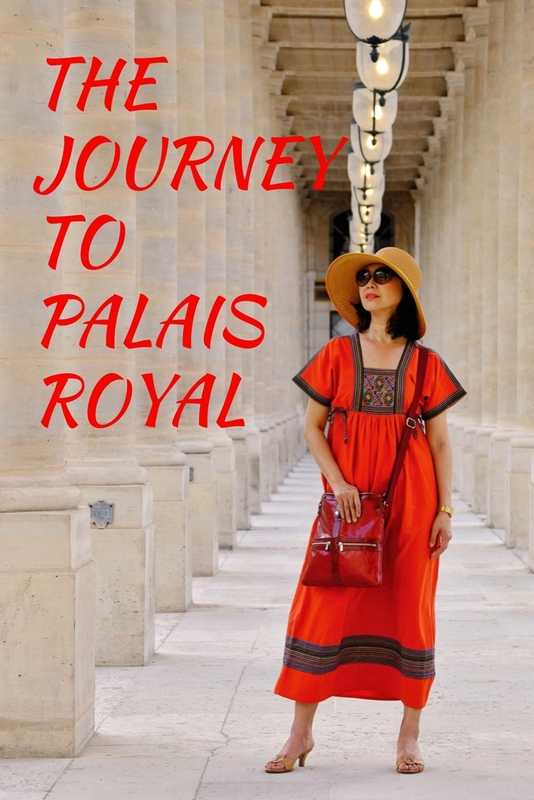 Kent had discovered Palais Royal all by himself the day before and was particularly struck by the colonnades, courtyards; gravelled garden and the dusty yet grand atmosphere. As for me, I was glad that I too could re-discover Paris through Kent putting a fresh eye on it all and of course, through his camera’s lens too. Palais Royal was such a contrast to the tourist packed Montmartre on that day. Then again, Paris has many faces, there’s something for everybody. I adore Palais Royal too, it is so lovely, regal but not over the top. And I love Les Deux Plateaux by French artist Daniel Buren.., well I’m not alone, it has become the hot photo-opportunity spot for fashion magazines, bloggers; lovers, brides and grooms and tourists of all stripes! Nicely told Vivienne! Did you ever find out what the protests were about? Enjoyed meeting you and Kent last night at Crawford Galleries. Such a stunning location, perfect for that dress! Thank you for this post and highlighting Lyon, one of my favorite city in France.